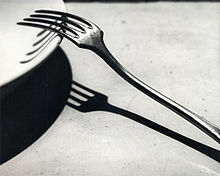 André Kertész (2 July 1894 – 28 September 1985), born Kertész Andor, was a Hungarian-born photographer known for his groundbreaking contributions to photographic composition and the photo essay. In the early years of his career, his then-unorthodox camera angles and style prevented his work from gaining wider recognition. Kertész never felt that he had gained the worldwide recognition he deserved. Today he is considered one of the seminal figures of photojournalism. Expected by his family to work as a stockbroker, Kertész pursued photography on his own, and his early work was published primarily in magazines, a major market in those years. This continued until much later in his life, when Kertész stopped accepting commissions. He served briefly in World War I and moved to Paris in 1925 against the wishes of his family. In Paris, he worked for France’s first illustrated magazine called VU. Involved with many young immigrant artists and the Dada movement, he achieved critical and commercial success. Due to German persecution of the Jews and the threat of World War II, Kertész decided to emigrate to the United States in 1936, where he had to rebuild his reputation through commissioned work. In the 1940s and 1950s, he stopped working for magazines and began to achieve greater international success. Music:“The Well-Tempered Clavier, Book I: XII. Prelude And Fugue in F Minor, BWV 857” by Johann Sebastian Bach. Performer unknown. 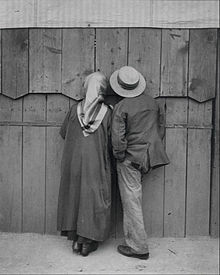 This entry was posted on September 13, 2015 by Vox Populi in Art and Cinema, Music, Opinion Leaders, Social Justice and tagged Andre Kertesz, Masters of Photography, photojournalism.